Ma'at was the Egyptian goddess of truth, justice, morality and balance. Maat sat in judgment over the souls of the dead in the Judgment Hall of Osiris where the dead person's heart was placed on a scale, balanced by Feather of Ma'at (her symbol that she wore on her head was an ostrich feather). Cult Center: Karnak complex at Thebes (Luxor). 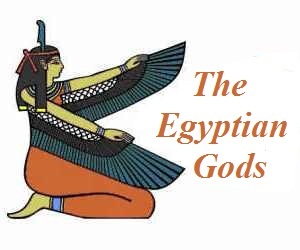 Titles: The "Lady of the Judgement Hall", the "Mistress of the Underworld"
Ma'at, the Egyptian goddess of truth, justice, morality and balance, was one of the astonishing number of gods and goddesses worshipped by the Ancient Egyptians. She is sometimes referred to as the consort of Thoth the god of knowledge who was responsible for the development of science, the arts of magic, the system of writing, arbitration and the judgment of the dead. 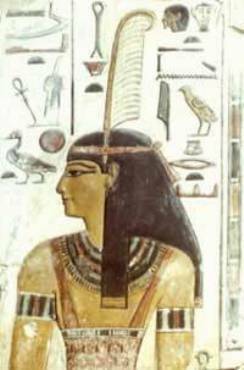 The most famous symbol of the goddess was the Feather of Ma'at. The Feather of Ma'at was an Ostrich Feather. The ostrich was symbol of creation and light as worn by the God Shu and Amun but worn as the Feather of Maat it represented truth, order and justice. Ma'at can be represented in hieroglyphics by just the feather itself. However, this can be misleading because the feather can also be used to symbolize the air god Shu. The ancient Egyptians believed that on the day of judgement, the feather of Ma'at was weighed against the heart of the deceased. A heart made heavy by sin outweighed the feather of Ma'at and was devoured by the monstrous Ammit, the 'Devourer of Souls'. A heart that was light and free from sin gained entrance into paradise. 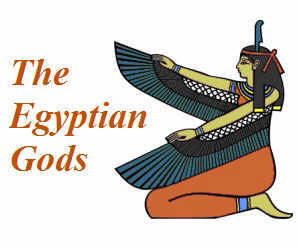 Depictions of the goddess always featured the Feather of Ma'at. Most often, the Feather of Ma'at was a distinctive feature of the headdress of the goddess who was depicted in a human form. 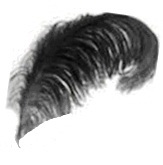 Less frequent images of the goddess showed her without a head which was replaced by a feather (see below). In other images the feather alone conveyed the presence of the goddess. The feather also became a hieroglyph for "truth". Ma'at was venerated as the goddess of justice, morality and truth and as such was strongly associated with the law of ancient Egypt. Justice was applied in the Spirit of Ma'at using basic principles of truth, morality and fairness. The Vizier responsible for justice in ancient Egypt was called the Priest of Maat and judges wore images of the goddess Ma'at. The law, and knowledge of the law, was based on 'teachings' or 'instructions' documented in formally written ethical teachings called Sebayt. The term Sebayt relates to the "instructions" or "teaching" genre referred to as wisdom literature. Ancient Egyptian scribes were responsible for the documentation of all information and the Sebayt is believed to have formed part of the Middle Kingdom scribal education syllabus and encompassed the 'Spirit of Ma'at' which focused on the "way of living truly". The 'Spirit of Ma'at' detailed in the wisdom literature contained practical guidance with examples and some rules applied in previous law cases. These kinds of instructional texts have been described as "Maat Literature". Few specific and general rules could be derived from these spiritual texts. Viziers and high ranking scribes were expected to adhere to, and apply, the ethical teachings of the 'Spirit of Ma'at'. Judges and scribes were urged to follow the principles of Maat and apply the 'Spirit of Ma'at' in their private lives as well as their work. The ancient Egyptian god Thoth and his female counterpart Seshat were the patron of scribes. In the Temple of Thoth at Hermopolis there were secret halls containing historical records which had been kept for thousands of years including forty-two sacred writings of Thoth (42 Books of Thoth) encapsulating all the training and knowledge of Egyptian priests and scribes. Thoth was the God of justice and "supreme judge" and was revered as the great teacher who taught mankind the art of writing. Thoth was described as the one "who reveals Ma'at and reckons Ma'at; who loves Ma'at and gives Ma'at to the doer of Ma'at". The 'Spirit of Maat' was embodied by the chief judge in charge of the Egyptian law courts who was known as "The Priest of Ma’at". The "Priest of Ma’at" had a dual role, serving as a priest and also involved in the law courts and justice system. Every Egyptian was duty bound to adhere, preserve and defend the Spirit of Ma´at. The Pharaoh was perceived as the guardian of Ma´at, without whom Egypt would descend into chaos. The "Priest of Ma’at" began court hearings wearing the feather of Ma’at representing truth, order, balance and justice. Ma’at was the patron of judges and all court officials who commonly wore small golden images of the goddess as a sign of their judicial authority and as a symbol that their judgement would be balanced and fair. Priests drew the Feather of Ma’at on their tongues with green dye, so that the words they spoke were truth. The person that won his case was given the feather of Ma’at. The guilty Egyptian was deemed to have violated the Spirit of Ma’at and would face a further judgment in the Underworld during the ceremony of justification in the Hall of the Two Truths. The priest would rule on the earthly punishment according to the nature of the law that had been broken. Punishments included imposing fines, corporal punishment and in extreme cases capital punishment. Methods of capital punishment included burning alive, decapitation, drowning or impalement on the stake. The 'Spirit of Ma'at' as a principle expressed the concept of right from wrong and was characterized by concepts of truth and the adherence its doctrine. 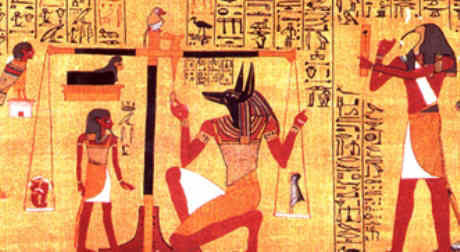 The ancient Egyptians believed that the soul of the dead had to recite a "declaration of innocence" or "negative confessions" to Osiris and the judges of the Underworld in the Hall of Two Truths where their actions in their mortal lives would be examined, the ancient Egyptian equivalent to the Day of Judgement. The "declaration of innocence" consisted of the denial of sinful actions (negative confessions) in order to assure the judges that he had lived a good life, according to the Spirit of Ma'at and deserved entry into the perfect afterlife in the 'House of Reeds' (the Egyptian paradise). The 'Declaration of Innocence' consisted of denials such as "I have not killed, I have not robbed, "I have not cheated" and I have not lied". Failure to convince the judges meant that they had led a sinful earthly life and their soul would be given to Ammit the "devourer of the dead" or the "soul-eater". The Book of the Dead was protective 'guide' and collection of 'spells' that would need to be recited in the Hall of Two Truths to avoid this most terrible of all fates. The final test in the Hall of Two Truths, or the Hall of Ma'at, was the weighing of the heart ceremony. The feather of Ma'at was placed on the opposite side of the scale from the spiritual heart of the deceased. The spiritual heart was called the 'Ib', the source of good and evil. (The physical heart was called the haty). If the scale balanced, the deceased was allowed to go on to the afterlife. If not, the 'Ib' was given to Ammit to devour and the remaining parts of the soul were believed to become restless forever - this was called "to die a second time". Discover interesting information and research facts about Ma'at, the Egyptian goddess of truth and justice. The facts about Ma'at provides a list detailing fascinating additional info to increase your knowledge about Ma'at in Egyptian Mythology. Fact 1: The feather of Ma'at became a hieroglyph for "truth". Fact 2: The only known temple dedicated to Ma'at is in the Karnak complex at Thebes (Luxor). Fact 3: Ma'at was also depicted as a winged goddess. Fact 4: The role of the pharaoh to cause the Spirit of Ma'at to reign over the world. Fact 5: Ancient texts indicate that other temples dedicated to the goddess Ma'at may have existed at Memphis and Deir el Medina, but these have not been found. Fact 8: One of the powers that the goddess Ma'at gave the gods was the ability to breath air.